How does one make wastewater management appealing? 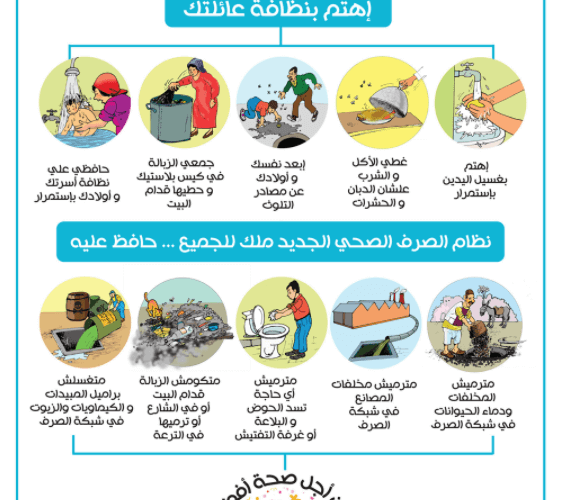 Our graphic designer combined his fluency in Arabic and his creative thinking with superb illustration skills to create this quirky poster. 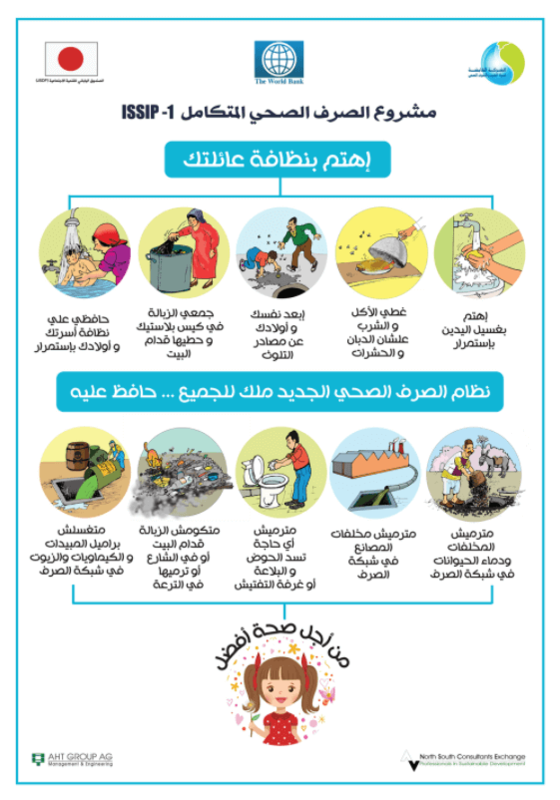 Its visuals inform the Egyptian public on how best to utilise World Bank-funded sanitation systems installed in a number of villages. We like to call Fady our ‘Graphics Master’, due to his 15 years of experience in designing communication materials for humanitarian and development purposes. He has created static and motion visuals for The World Bank, USAID, Unicef and the Food and Agriculture Organization (FAO), among others.